Jackson Faulk hunted all day, and killed this 23-pound gobbler just before sundown. 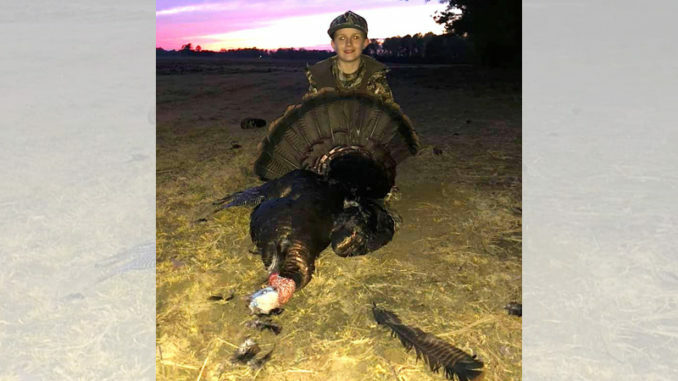 Twelve-year-old Jackson Faulk of Dudley, N.C. killed a jake last year during North Carolina’s turkey season. And he made up his mind that he would kill a big boy this year. Even if it took a whole day to do it. And this past weekend, Faulk did just that. He shot a whopper of a gobbler that weighed 23 pounds, had 1 1/4-inch spurs, and a 10-inch beard. He was hunting in Wayne County with his dad Philip Faulk, and it was an all-day affair. “We hunted hard all day, and he had a chance at some jakes, but Jackson said he wanted a long beard,” said Philip Faulk. 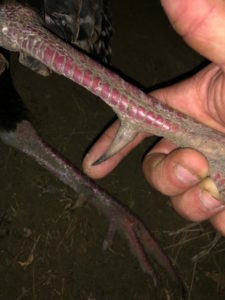 The gobbler had 1 1/4-inch spurs. First thing that morning, Faulk said a number of jakes were gobbling their heads off and strutting right in front of the young hunter, but Jackson didn’t even think of pulling the trigger on any of them. 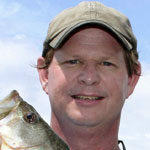 “I probably would have shot one of them because they had me fired up the way they were gobbling and strutting non-stop. But Jackson said they weren’t big enough and needed a few more years,” said Faulk. Around 3 p.m., Jackson was exhausted to the point of conking out for a nap right on the forest floor. Faulk let him sleep for an hour or so, then roused him awake so they could move to an area he thought some turkeys would be staging before heading to roost. 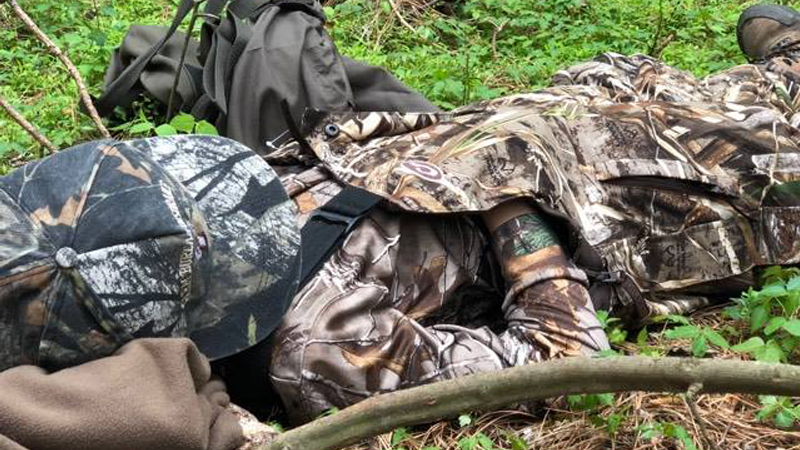 Around 3 p.m., the young hunter took a nap on the forest floor. The two packed up their decoys and other gear and made the move. They got set up again and waited, hoping to intercept a gobbler before sundown. As the daylight hours were drawing to a close, Faulk said they were talking about calling it a day when they spotted three large toms heading toward their roost. At that point, Jackson went back into hunting mode and began calling to the birds. “Finally at last light, he called in three large toms. As soon as they saw our decoys, they charged in to attack the Avian X jake decoy. Jackson picked out the biggest bird and shot it. I was really proud because we literally hunted all day. But he never gave up. I was really glad to see him rewarded for his patience,” he said.